After one day of being on mainnet, Grin's hashrate is currently 285.6k graphs/s. This means, that an equivalent of 146,500 GTX 1060 6GB or the equivalent of 88,200 GTX 1070 Ti 8GB are currently mining Grin. 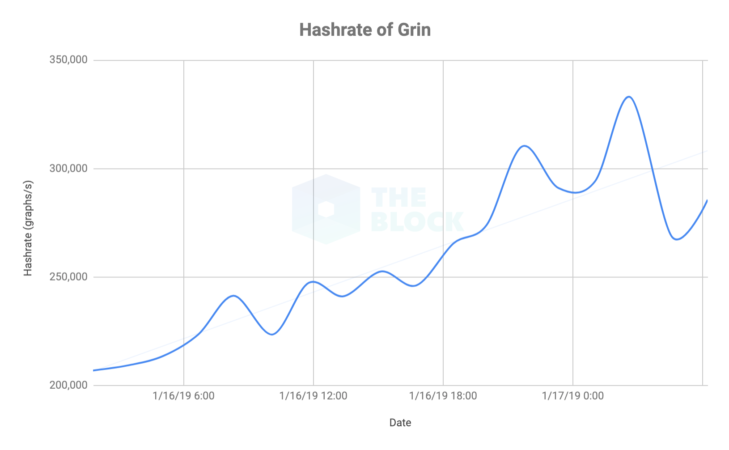 In comparison, Ethereum's hash rate is currently approximately 180,000 GH/s, which means that an equivalent of 5.7 million GTX 1070 Ti 8GB is currently mining Ethereum - 64 times as much as Grin.